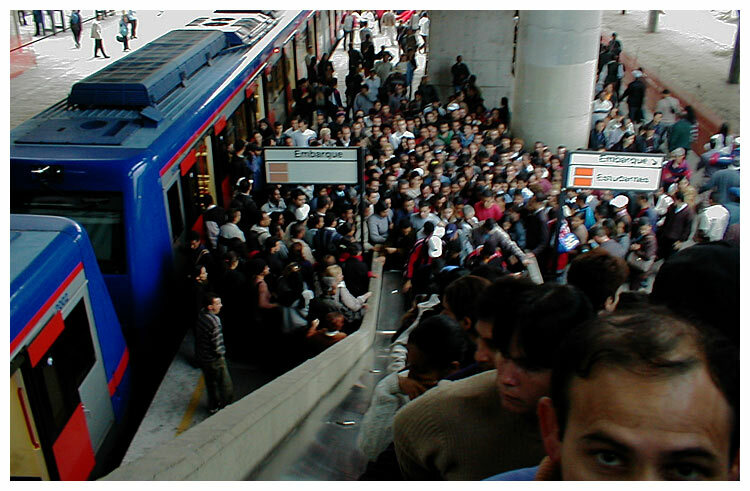 People making the transference from the train to the metro. Bras Station, Sao Paulo, Brazil. Very good view. Nice work.